My name is Sarah Purdon, I’m one of the Long-term Volunteers on the island. I arrived on the 7th of April when it was hot and sunny, and then quickly had to revert to thermals as the weather changed. 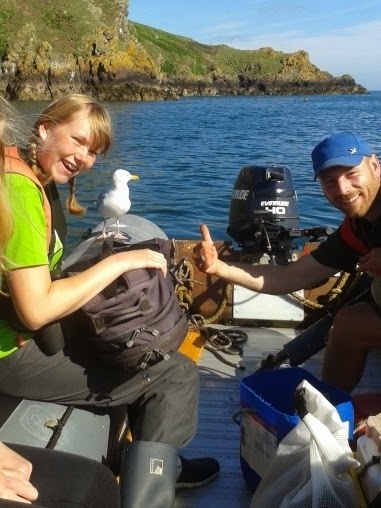 Last year I already helped with the all island seabirds counts. In the summer of 2014 I graduated (from UEA in Ecology) and within four days of my final exam I was out on Skomer. The contrast from months of revision and coursework to being outdoors, working as a part of a team on long-term projects and helping to collect data was incredible, I had the most fantastic time and I knew I wanted to return to Skomer as a Long-term Volunteer. On the island I have taken over running the puffin productivity study at the Wick, and later in the season I will once again be helping with the whole island bird count from the boat. 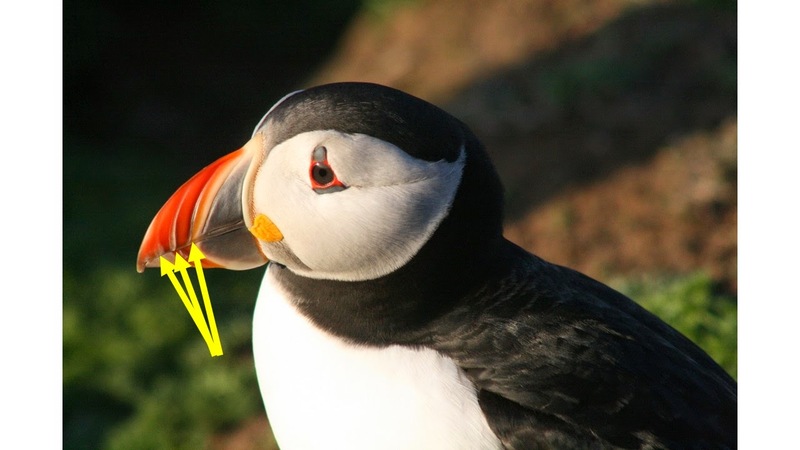 As my personal project I am going to attempt to look at the age range of puffins seen around the island, using grooves in their bills to age them. In practice this means I am obligated to spend my time on the island taking photos of puffins….. a really really tough job. 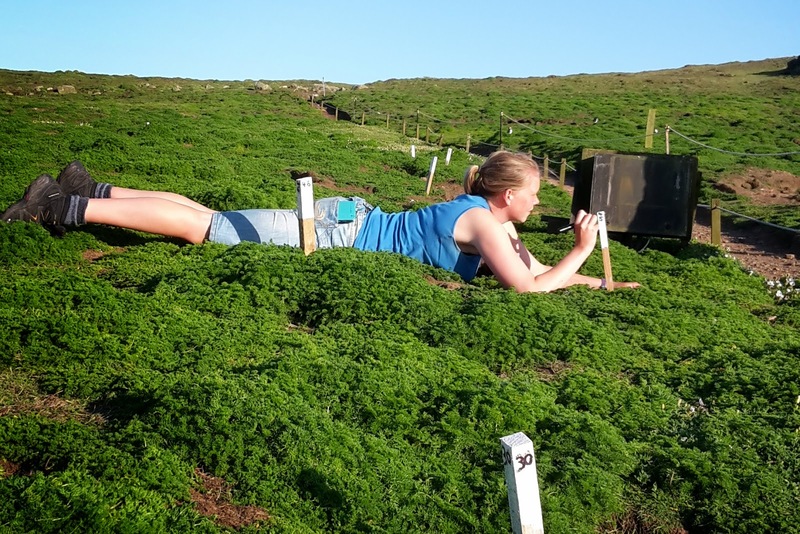 If you visit Skomer and pass by the Wick you will see the burrows that are a part of my productivity study, if you wondered how we got the stakes out there have a look at the photo: It involved a lot of crawling to avoid damaging the fragile ground. Over the next few weeks I’ll be spending several evenings at the Wick recording which burrows are occupied, and in a month or two once the eggs have hatched I’ll be doing three 24 hour feeding watches to record which eggs have hatched. Since moving out to the island I’ve loved the mix of jobs, one minute I’m spending hours watching the nesting shags to spot chicks, the next I’m giving introduction talks to 250 people, then I’m on a roof siliconing windows, then I’m at the Wick taking photos of puffins, then I’m digging paths. I helped with the whole island clean up, driving the heavily loaded tractor back and forth more times than I could count, and then ferrying it all down to the boat. I was still aching a few days later but it was great feeling to see all that junk gone and I’ve gained the nick-name ‘the tractor queen’ due to my enthusiasm for driving the tractor (and in turn have nick-named the tractor ‘trundle’). Hello! 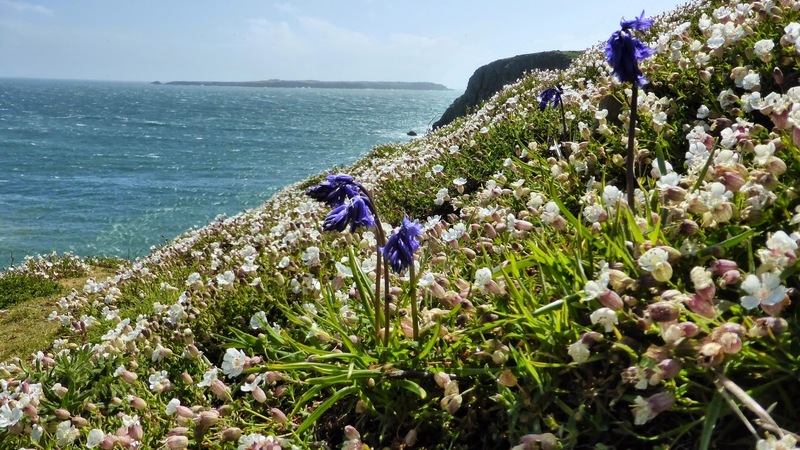 My name is Alice, and I’m one of Skomer’s April-July 2015 Long Term Volunteers. 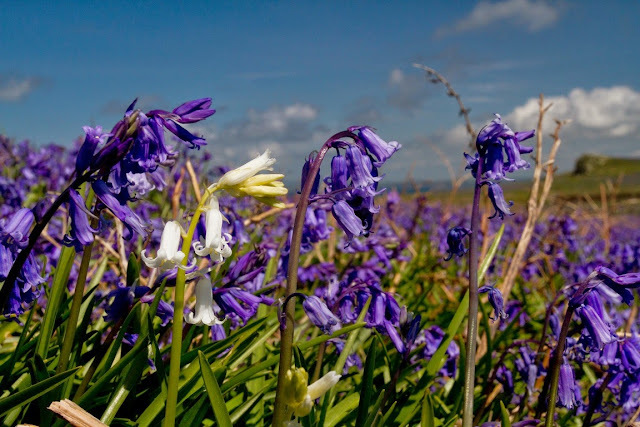 I am a third year Environmental Conservation student at Bangor University, and as part of my course I carry out a year in industry; Skomer is my last placement of the academic year, before I head back to University to finish my degree this September. I arrived on Skomer on the 15th April, but feel like I arrived yesterday; time goes incredibly quickly on the island as there’s always so much going on! 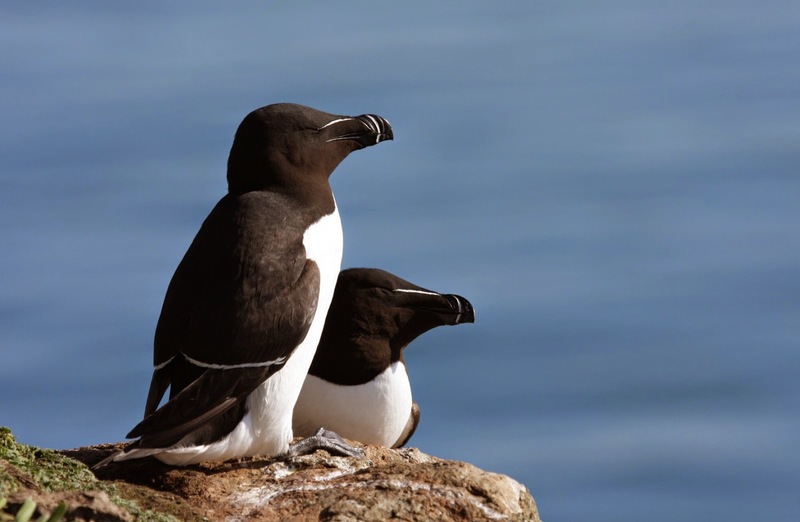 In my first day alone, I saw many of the species I have always been eager to see; Guillemots and Razorbills lined the cliffs as I got off the boat, while stiff winged Fulmars soared above me- the shear amount of sea birds that make Skomer their home is still amazing! My first night on the island was an experience that will always stay with me; I got to participate in an all island Puffin count, in which over 21,000 Puffins were counted. To get to see such a charismatic species is a privilege on its own, but to see them by the thousands was simply spectacular! 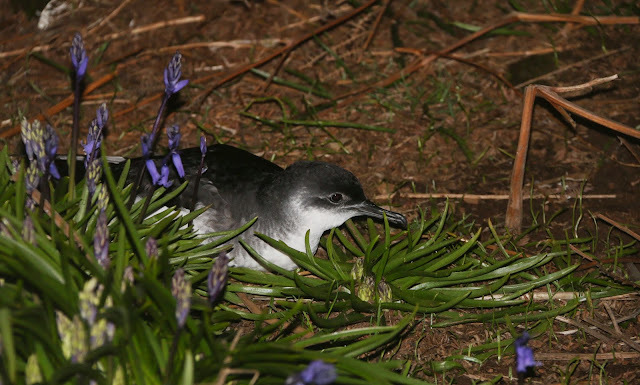 Once it got dark it was time for the Manxies to make their appearance; to see a Manx Shearwater is a big deal for any conservationist, and to see them endearingly stumbling along outside their burrows made me love them all the more. I have been lucky enough to help out the Shearwater Researchers with their burrow checks, and it’s an experience I will always treasure, and an experience I’m sure I’ll find hard to beat! Despite my evident love of birds I am also an aspiring botanist and hope to specialise in plant conservation. 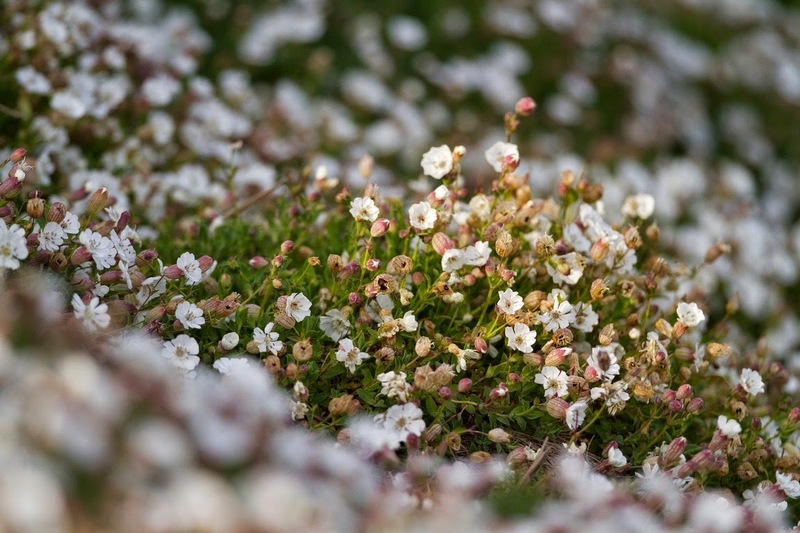 So, being hit by smell of the highly abundant Sea Campion, seeing the beautiful pink of the Thrift mats, and the dense carpets of Bluebells on my walks around the island is just so rewarding! This interest has resulted in plant focused personal projects; one project is to map Bluebell and Red Campion distribution on the island, the other is to carry out a Vegetation survey. 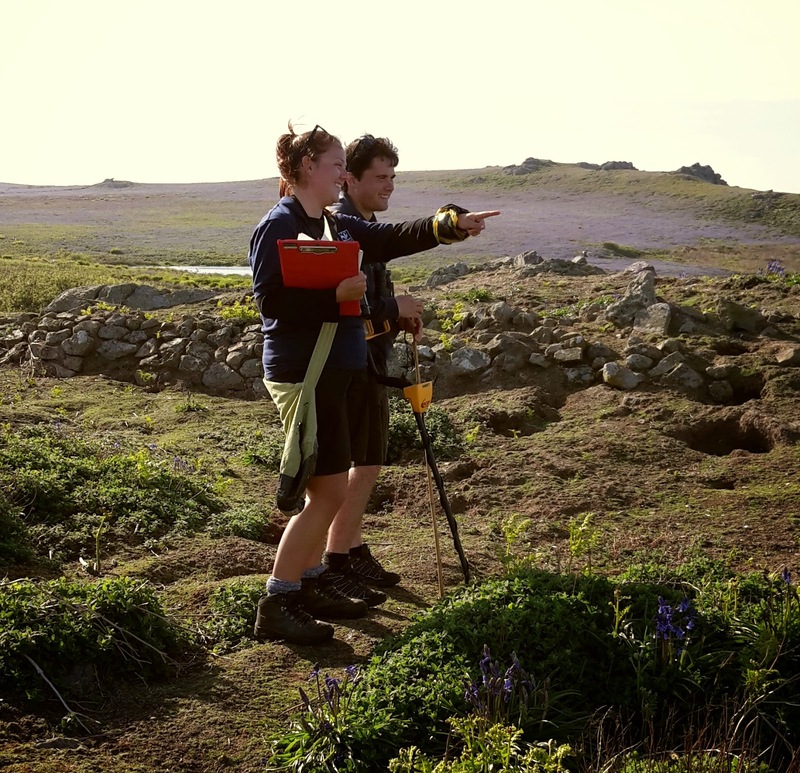 The Vegetation survey involves identifying species and their percentage coverage in given quadrats set up around various parts of the island. We can then compare species, and species composition of a given quadrat with what it was in 1979 (when the quadrats were first set up and surveyed) and 1998 (when the quadrats were surveyed for the second time); this then allows us to make comparisons over time. Finding the quadrats is proving very difficult however, as the quadrat markers aren’t clearly visible, especially amongst Brackenous and Bluebell carpeted areas! I’m hopeful that my searches will pay off eventually though, and then the fun part of surveying can start! It's so difficult to find the vegetation markers that I have started to use a metal detector to detect them. In addition to my personal projects, my responsibilities on the island are to assist with various surveys, map Razorbill productivity at Bull Hole and in June, we will carry out plot counts to estimate sea bird populations. My first month on the island has been incredibly exciting and has given me highly valuable experiences that I can apply to my studies and my future in conservation; I’m sure the next two months will be just as rewarding! 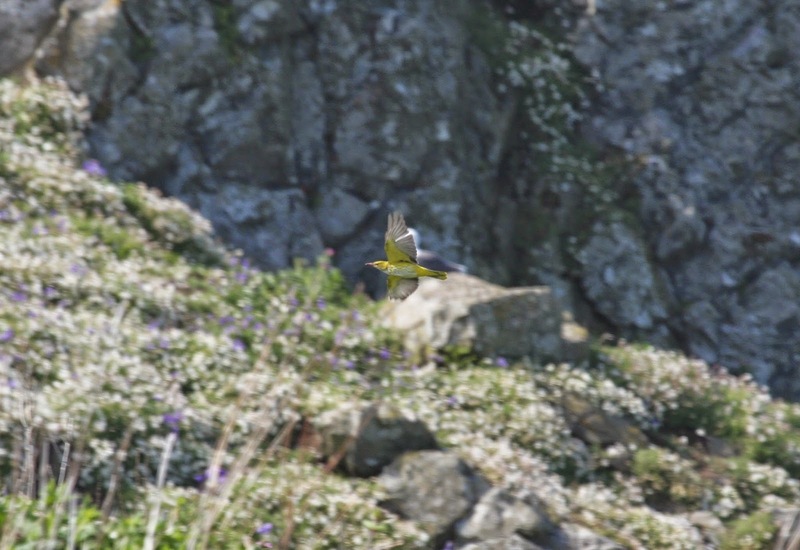 The most recent highlight regarding the islands seabirds is that the Kittiwakes have laid their first eggs, with the first incubating adults noted on 19th May. 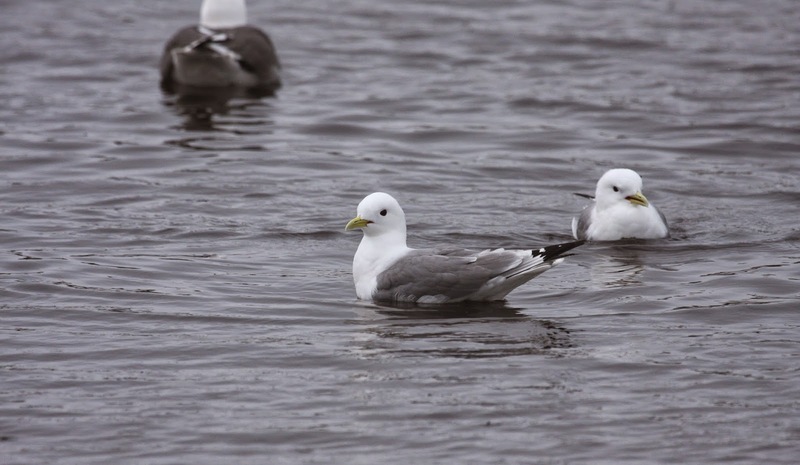 Kittiwakes have been seen busily collecting nesting material (a mixture of mud and plant material) from Moory Mere for a while now, giving particularly good views of this delicate seabird. The other, larger gulls are all on eggs across the island. Fulmars however are still yet to lay eggs. 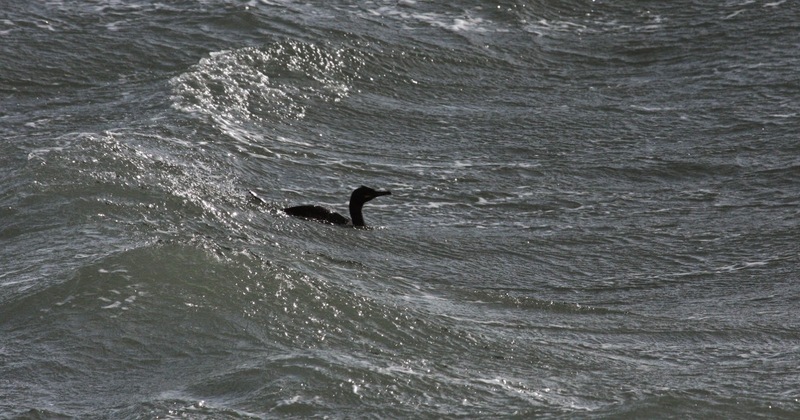 One species which is way ahead of the others with regards to breeding is the Shags. The regular breeding pair on the Garland Stone already has chicks and, while it is rather distant, the nest contents can be seen with a telescope. The Manxies are currently underground in their burrows, incubating eggs, with the first egg laid on 1st May. A few particularly dark nights have seen spectacularly high numbers come ashore, creating quite a night-time spectacle. 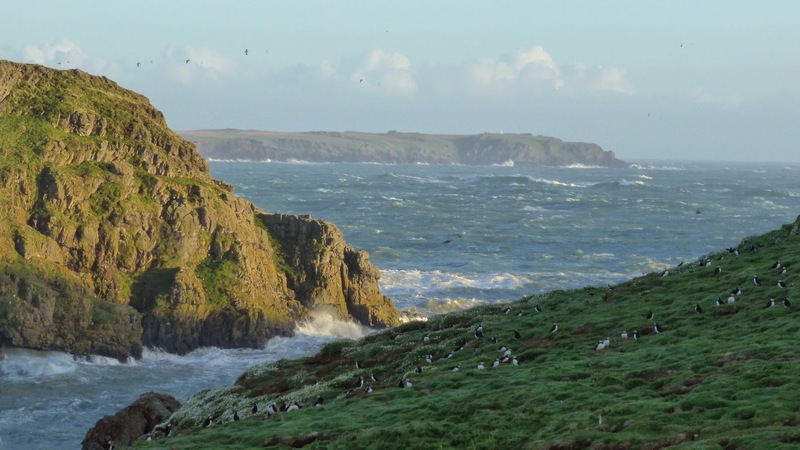 We are still waiting the first returning Storm Petrels, but with birds already in the colonies on Skokholm, we shouldn't have to wait much longer. 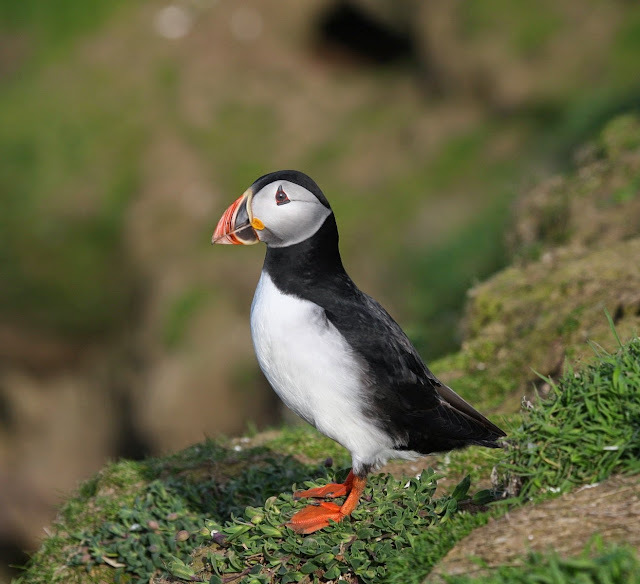 The Skomer seabird season is well and truly kicking off, with most of our breeding species already settled into their breeding ledges, scrapes and burrows. Most species are on eggs now, and the cliffs are as busy and spectacular as ever. 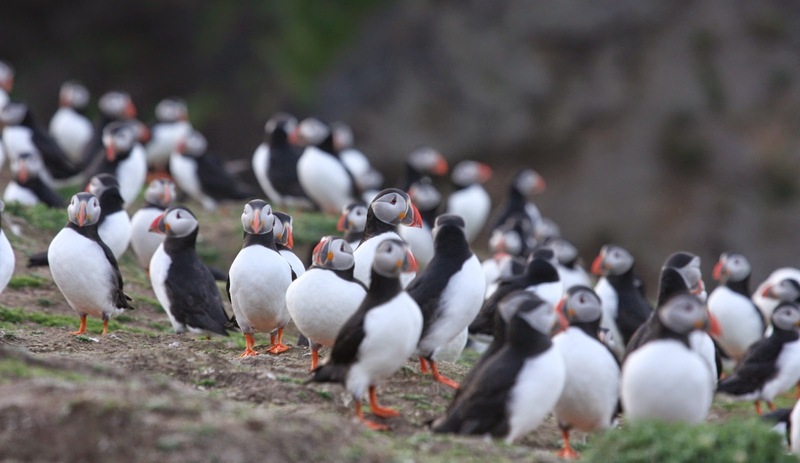 'Puffin soup' was an apt description on the evening of the whole-island seabird count, with huge numbers of birds on land! 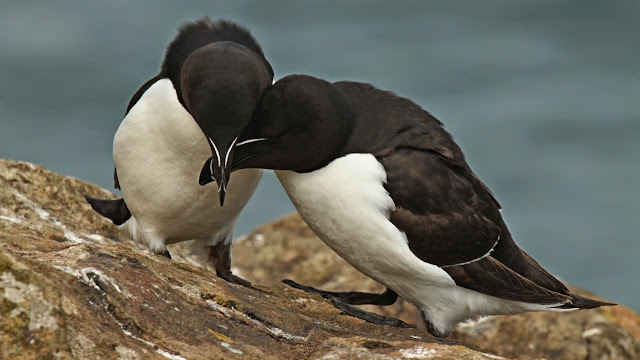 We will have to wait until the end of June before we can tell you how many pairs of Razorbills and Guillemots there are breeding on the cliffs this year. However the daily soap operas that are the 'guille' and 'raz' colonies carries on regardless. Constant activity within the groups makes for entertaining watching, with lots of fighting, preening and making up, more fighting and fending off incoming attacks from the gulls ensures the colony is never quiet! 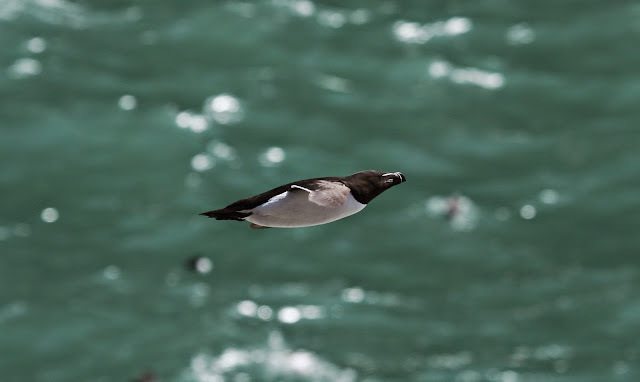 Razorbill. As smart and clean-cut as they come. 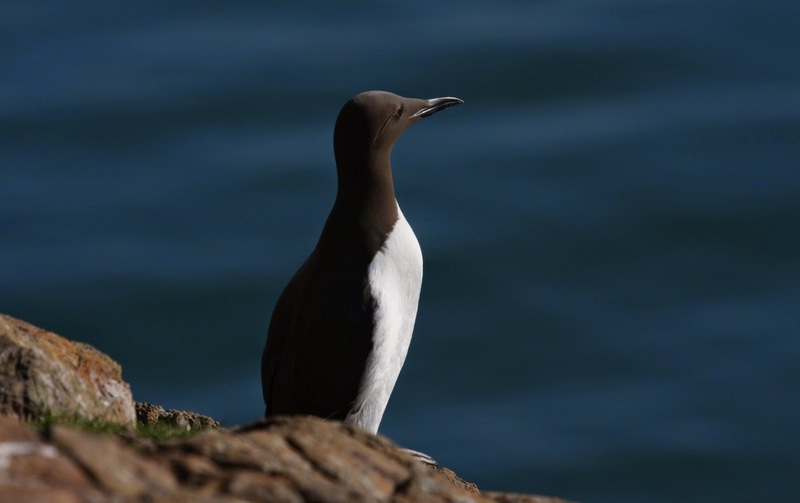 The first guillemot egg was discovered on the 30th April this year, a full 13 days earlier than last year (this year appears to be more 'normal' than early, with 2014 being exceptionally late). The first Razorbill egg was discovered on 25th April, again much earlier than last years first date (12th May), and more in line with the norm. Stay tuned for more updates on the rest of the islands seabirds! Another good bird on Skomer today. 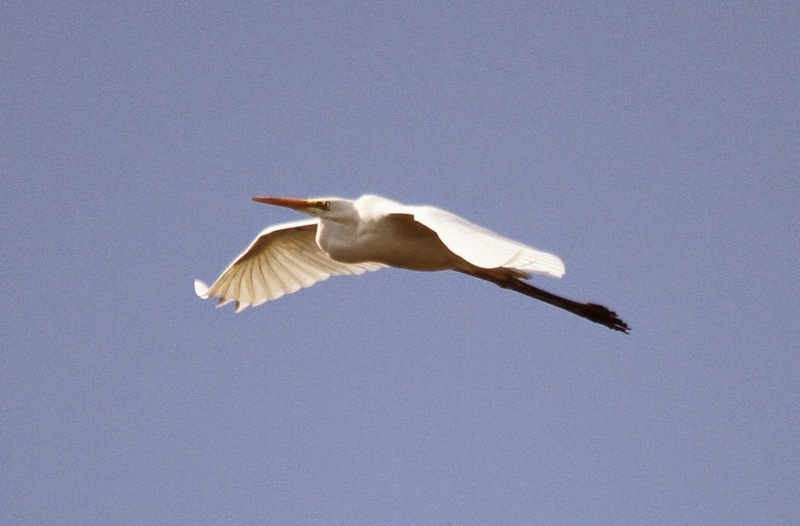 This Great Egret is a first for the island but perhaps one that we should have been expecting. 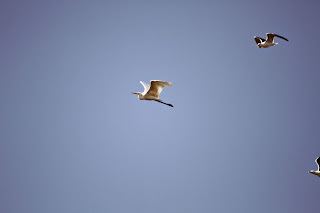 These heron sized egrets are one of several long legged water birds that have been colonising Britain in the last 10 years. 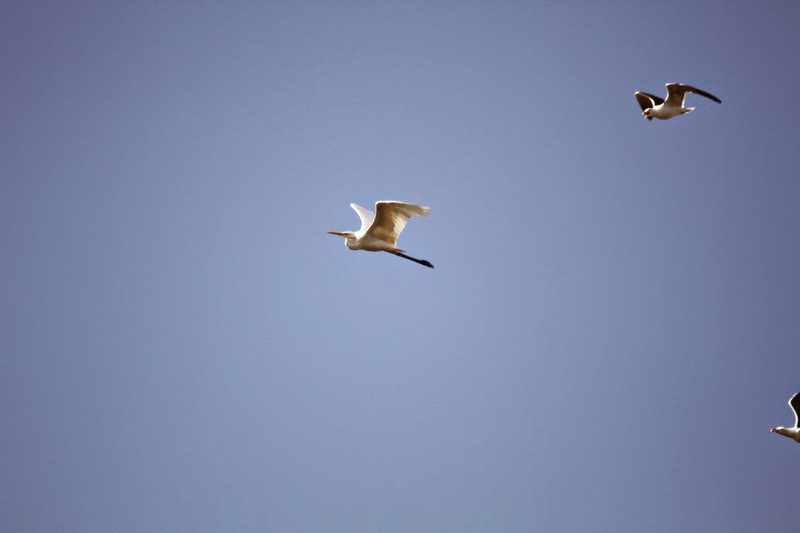 Great Egrets have been breeding in the Somerset levels for the last few years and are becoming increasingly common in Britain as a whole. Our bird was an immature so wasn't part of the breeding population, yet. 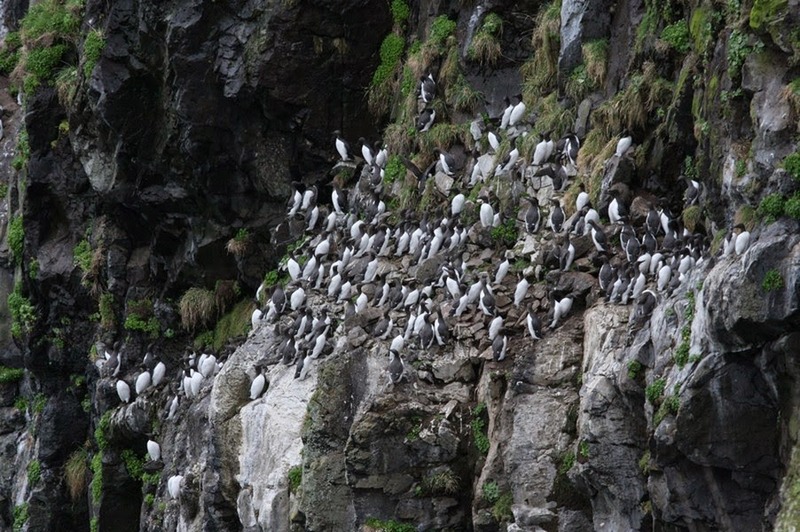 Our seabirds are also doing well and we are in the peak laying time at the moment. Our Raven chicks are fledging and our Short-eared Owl chicks are hatching. So it's all go on Skomer, no time for play, just yet. The long days of summer await. 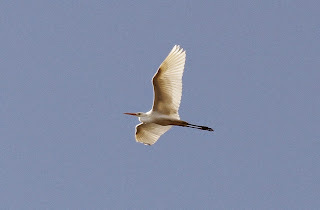 For all sightings see the Recent Sightings tab above. Today was a great day on Skomer... 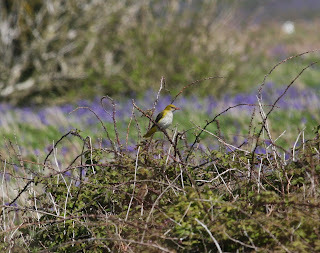 It all started with a report of a green and yellow bird at birdlog last night. This prompted Leighton to get up early and have a look. What he found was, not one Golden Oriole, but four! 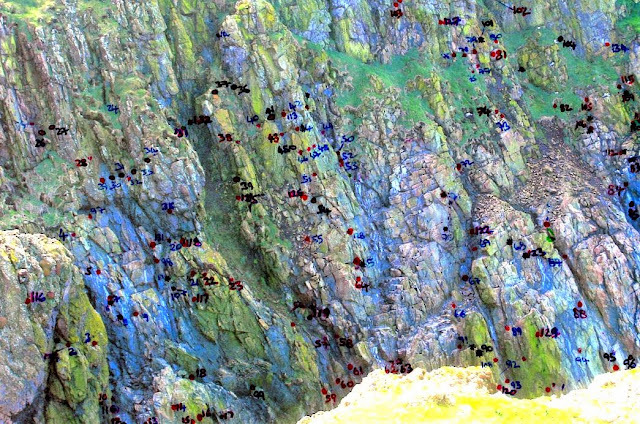 This is a record count for Skomer and an amazing occurrence of four overshooting migrants that found Skomer Island to their liking for the day. 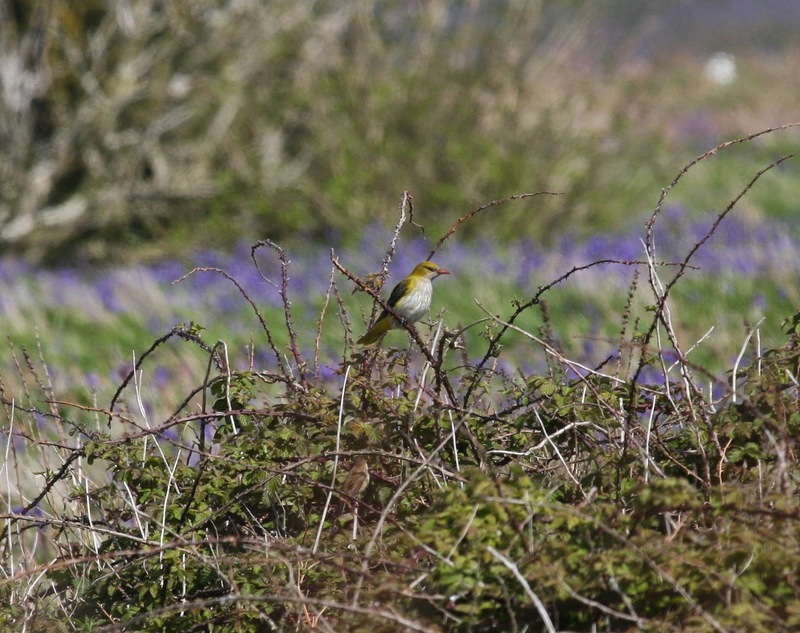 These four orioles were accompanied by a Quail, a Cuckoo, a Nightingale, a Lesser Whitethroat and many, more common, migrants such as swallows and Goldfinches. Today also saw some resident species such as Short-eared Owl showing more settled signs of breeding (they had been very quiet of late). 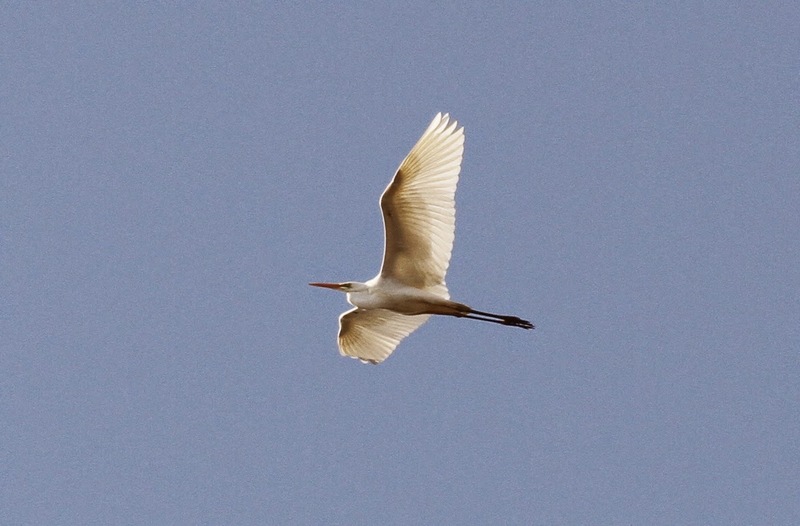 Here are a few snaps of what were surprisingly hard birds to photograph. 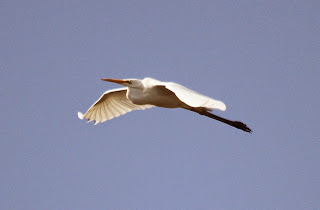 See the recent sightings tab for all of our recent highlights. But what happens when a gale force 8 is blowing? It means that chimneys are rattling, roof tiles are howling and water comes pouring in through shut windows. It also means that walking becomes a bit of a challenge, not to mention flying. On days like these we are all rather glad that we are not a bird. Check out the Recent Sightings tab for updates on wildlife sightings.